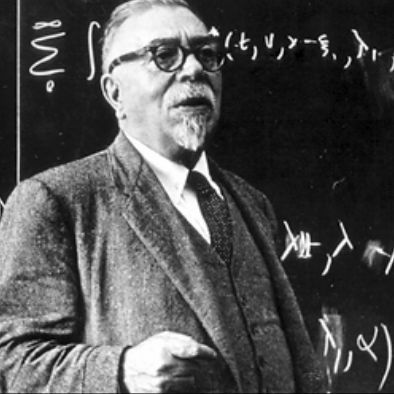 I was recently re-reading parts of Norbert Wiener’s autobiography, I am a mathematician, shortly after writing a brief account of theories of information for our upcoming book Introduction to Information Science. What caught my attention was how the lives and work of the proponents of what has been come to be known as information theory were inter-meshed during the late 1930s and 1940s. Wiener, who worked virtially all his life at the Massachusetts Institute of Technology, and is best known today as the originator of the idea of cybernetics, describes this vividly. 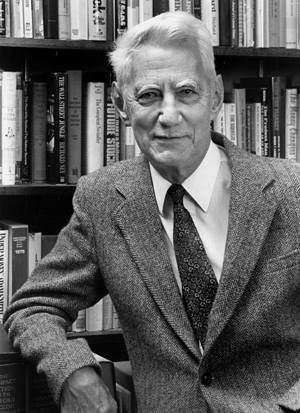 He teaches a young Claude Shannon at MIT, but has relatively little contact with him at that stage. 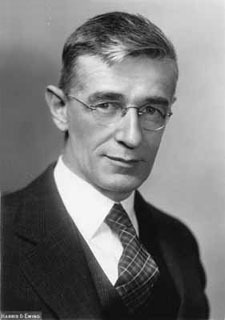 He collaborates with Vannevar Bush, the originator of the Memex concept, on the early development of computing, though Bush favours analogue approaches while Wiener espouses digital computing. 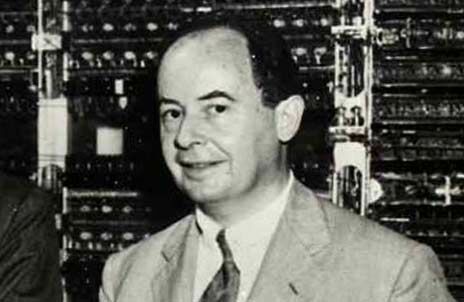 He is assigned to work for Warren Weaver, who popularised Shannon’s theory, on a wartime project, and consults with John von Neumann, the designer of modern computer architecture, about it. Although it has always been clear that the mathematical formulations of information theory, or communication theory as Shannon originally termed it, were about a meaning-free conception of information, it is interesting to see just how much this is so. Wiener tells the story as essentially one about two forms of electrical engineering: power engineering and communications engineering. The theory of the latter, also termed the theory of strong currents, led to the formulation of a quantitative measure of information. But this was in way associated with information in the sense used by the sciences of the human record, until Warren Weaver speculated that Shannon’s theory might have much wider applicability. Until then, it was a matter of study the quality of transmission across noisy channels, the representation of formal logic in electric circuits, and the control of complex machinery. The protagonists approached the topic from different directions and for different purposes: Shannon seeking to finds ways to optimise accurate message transmission, and Wiener examining ways to improve the aiming of anti-aircraft guns. But both found the need to formally define a fundamental unit of information, as essentially a yes/no decision, and both reached essentially the same formalism. 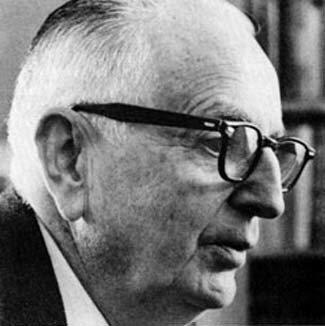 Wiener seems to have resented the way which information theory was, even at the time he wrote, beginning to be termed Shannon theory, or Shannon-Weaver theory. Rather plaintively, he terms it ‘Shannon-Wiener’ theory, and insists that “it belongs to both of us equally”. That is not how history recalls it. Nor is there much explicit recognition, apart from occasional passing comments, of the striking difference made a minus sign in the otherwise identical formulations of Shannon and Wiener. For Shannon, information is randomness, variety, disorganisation; for Wiener it is order and pattern; what later authors would call ‘negentropy’. The results of calculations are the same; but what we understand information to be is drastically different. Perhaps this is of no consequence at this distance in time. But perhaps, when debates can still rage about the validity and relevance of an objective view of information (the debate between Marcia Bates and Birger Hjørland in recent years in the pages of the LIS literature is an excellent example), it may be worth reminding ourselves what the original protagonists thought. Wiener also vehemently believed that science and scholarship must be long-term, and not tied to short term gains. Scholars must be free to follow their interests, and need adequate leisure time, and a lack of pressure to develop them. He has a provocative thought for those who wish to assess all academic work by its short-term results. Institutions such as universities, he writes “cannot and do not ask for an immediate translation of their hopes and ideals into the small change of the present day. They exist on faith, the faith that the development of knowledge is a good thing and must ultimately conspire in the good of all men”. Too liberal, perhaps, for the impact-focused evaluation of research which are so in vogue at present, such a our own dear REF exercise, but something else worth pondering across the years.